My wife, Judy, and I enjoyed 11 years circumnavigating the world aboard our 2003 Amel Super Maramu, BeBe. Judy and I logged over 40,000 miles and visited 58 countries. 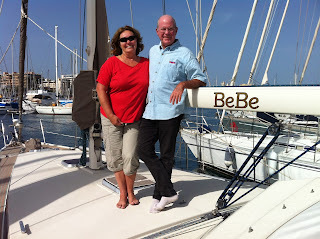 Our Circumnavigation Blog aboard BeBe, SM #387, is at www.svbebe.com. If you are interested in the Cost of Cruising, listen to an Audio Podcast with Bill & Judy explaining costs of cruising, follow this link: Bill & Judy "Costs of Cruising" Podcast.